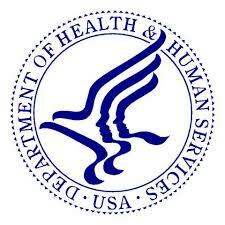 California Consulting is pleased to announce the U.S. Department of Health and Human Services: Rural Health Network Development Planning Program. - California Consulting, INC. Eligibility: To be eligible to receive a grant under this subsection, an entity – (A) shall be a rural public or rural nonprofit private entity; (B) shall represent a network composed of participants – (i) that include 3 or more health care providers; and (ii) that may be nonprofit or for-profit entities; and (C) shall not previously have received a grant under this subsection (other than a grant for planning activities) for the same or a similar project. This notice announces the opportunity to apply for funding under the Rural Health Network Development Planning Program (“Network Planning”). The purpose of the Network Planning program is to assist in the development of an integrated healthcare network, specifically network participants who do not have a history of formal collaborative efforts in order to: (i) achieve efficiencies; (ii) expand access to, coordinate, and improve the quality of essential health care services; and (iii) strengthen the rural health care system as a whole. A rural health network is defined as an organizational arrangement among at least three separately owned regional or local health care providers that come together to develop strategies for improving health services delivery systems in a community. Health care networks can be an effective strategy to help smaller rural healthcare providers and healthcare service organizations align resources and strategies, achieve economies of scale and efficiencies, and address challenges more effectively as a group than as single providers. For example, a critical access hospital, a community health center, and a public health department may collaborate to form a network around a shared purpose. Other examples of health care providers could be: hospitals, public health agencies, home health providers, mental health centers, substance abuse service providers, rural health clinics, primary care providers, oral health providers, social service agencies, health profession schools, local school districts, emergency services providers, community and migrant health centers, federally-qualified health centers, tribal health programs, churches, faith-based organizations, and civic organizations that are/will be providing health care. The goals of the Network Planning program are centered around approaches that will aid providers in better serving their communities given the changes taking place in healthcare, as providers transition from focusing on the volume of services to focusing on the value of services. The intent is that rural health networks will expand access to care, increase the use of health information technology, explore alternative health care delivery models, and continue to achieve quality healthcare across the continuum of care from prevention and wellness to acute and long-term care. The increasing focus on showing value in health care delivery creates incentives to develop regional systems of care that preserve local autonomy for rural communities while also ensuring access to the appropriate continuum of care for the local service population. It remains critical in the healthcare environment for rural providers to participate in efforts such as implementing population health strategies to demonstrate the quality and value they provide rural residents.